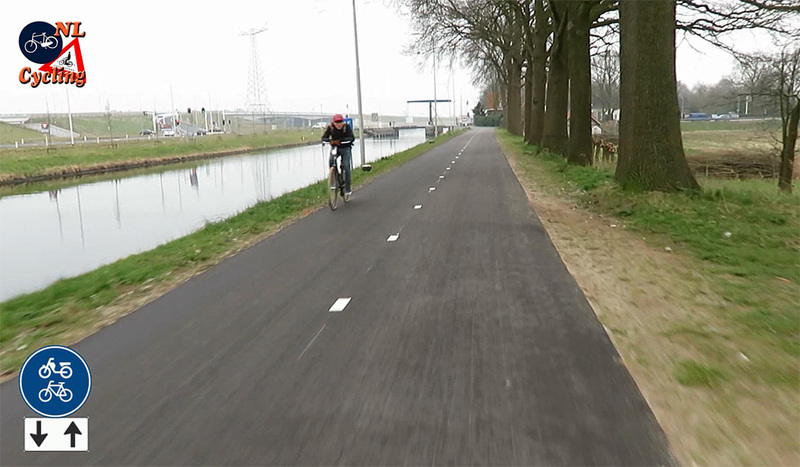 A fast cycle route from ʼs-Hertogenbosch to Veghel was opened in November 2015. The route runs parallel to the canal between the two cities on what was a private maintenance path for the canal authority before it was updated. The route is a 4 metres wide smooth black asphalt path which may only be used for cycling. Mopeds and scooters are not supposed to use it. This sounds like great news, but unfortunately this new route doesn’t cover the entire distance between ʼs-Hertogenbosch and Veghel, only a part. So I decided to ride from Markt (Market Square) in ʼs-Hertogenbosch to Markt (Market Square) in Veghel, which is exactly 20 kilometres (12.4m), to show you which types of infrastructure you get to use. A wide variety as it turns out. The ride is very convenient, even when it is not all 4 metres wide dedicated cycle space. Note that you do not encounter any signals and my ride was completely non-stop! 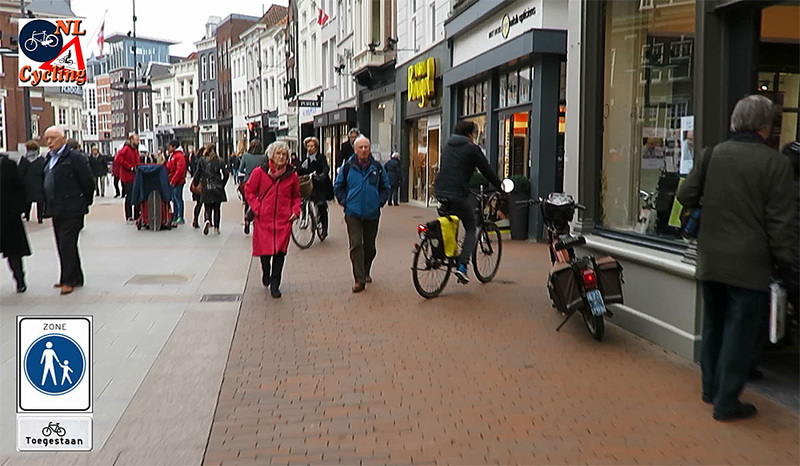 I filmed on a colder Thursday morning, so not many people were out on the streets, apart from the many people in the pedestrian zone in ʼs-Hertogenbosch. So a great ride in this photo post with also a video showing the entire ride. The video comes in two speeds, so you can choose which you prefer. 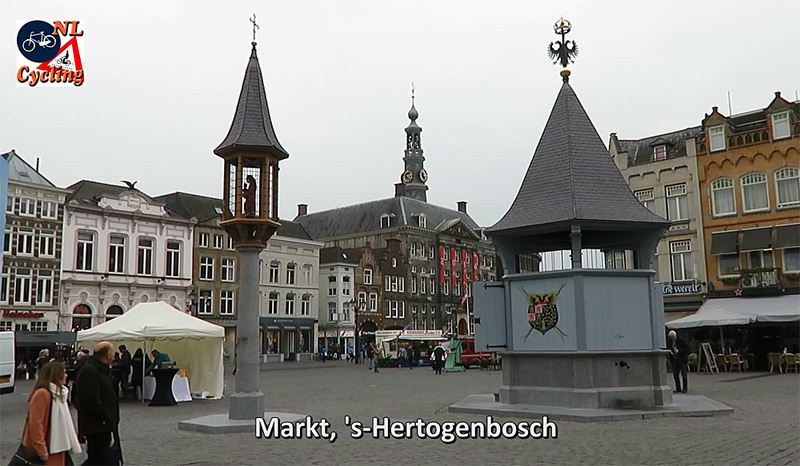 The route starts on the market square in ʼs-Hertogenbosch at the foot of the brand new reconstructions of a 500-year-old well house and Virgin Mary shrine. Going east, riding through the pedestrian area where cycling is allowed, but not very convenient. I usually avoid the area, because going around it is usually quicker than going right through it. Past the city’s cathedral we can see that the streets in the historic city centre are 30km/h (18mph) zones that do not require separate cycling infrastructure. The street around the city centre has a one-way cycleway on the south side. This crossing of an entrance to an underground parking garage is new and you can see that the block markings are now on the outside of a crossing. This ensures that the crossing is not optically narrowed. Needless to say that people cycling have the right of way here. Going due east we get to cycle in a cycle street. The city of ʼs-Hertogenbosch doesn’t actually use this sign (yet). Probably because it has no legal status yet (but it is used in most of the country and that is why I use it too to indicate that this is indeed a cycle street). Note that the sign informs me my speed is 19km/h here. Apparently I picked up speed outside the built-up area, because my average speed over the full hour was 20km/h. Usually the sign informs drivers of their speed, which should be below 30km/h (18mph) in a cycle street. 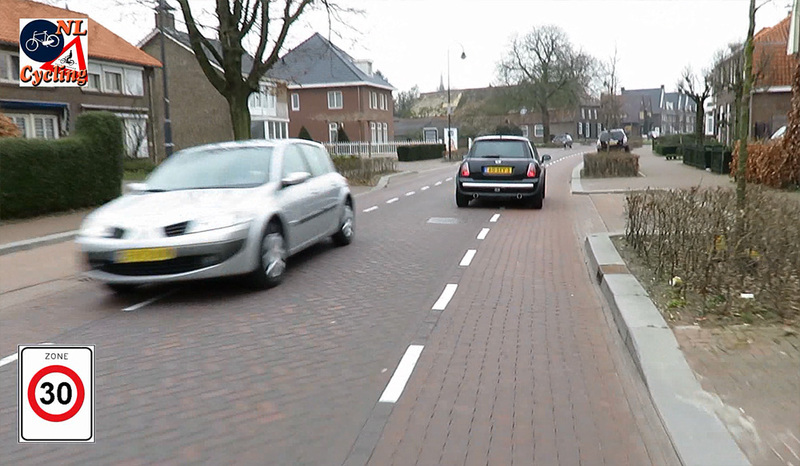 ʼs-Hertogenbosch does have some on-street cycle lanes, but relatively few. Motor traffic may use this street in both directions, but the lines of the cycleways are interrupted, so that motor traffic may also use the cycleway to make way for oncoming traffic (and to reach the parking bays). 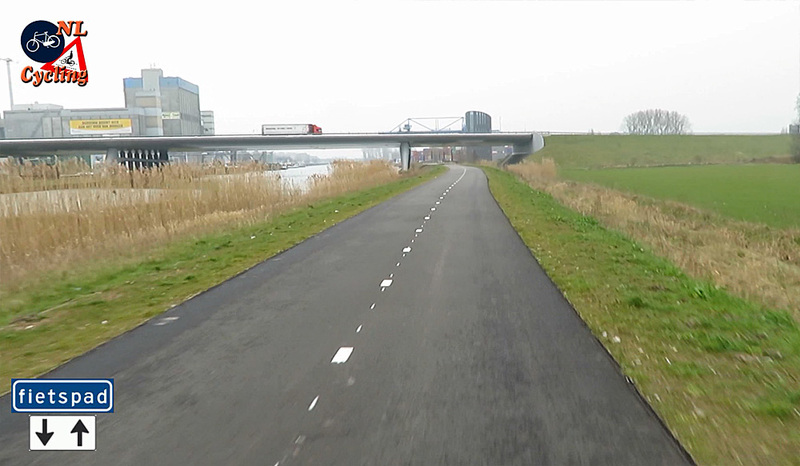 This is an upgraded cycleway from ʼs-Hertogenbosch to Den Dungen. This part is marked as a cycleway that can also be used by mopeds/scooters. This part of the route alongside the canal was already there, but much narrower. This is a part of the route that has no cycling infrastructure at all. The lines you see are only there to optically narrow the road and to indicate that the speed limit is 60km/h (37mph). That is the standard speed limit on smaller rural roads. Some cars passed me on this part, but it was never scary. Here the approach to Veghel and the underpass of the motorway A50. Although this is marked as a cycleway only, I did see a scooter illegally using this cycleway. You enter Veghel via an industrial zone. The road was obstructed, so a short detour was signed out. This is the largest vehicle I encountered in the entire ride, and it was on that detour. 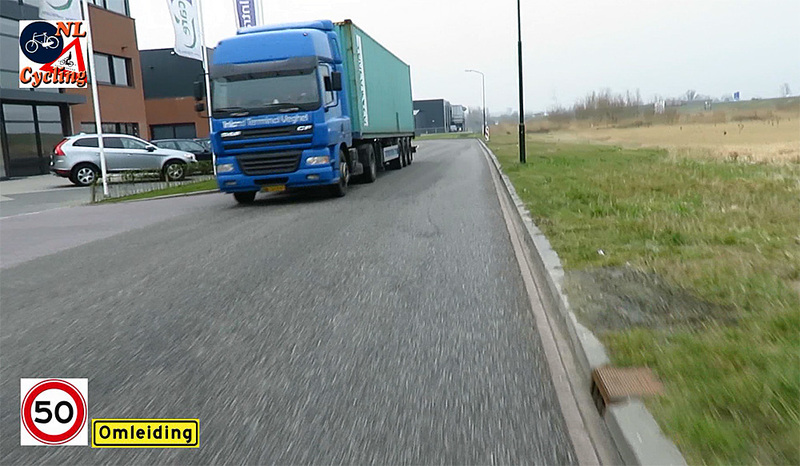 But as you can see, I had more than enough room to safely pass this lorry. 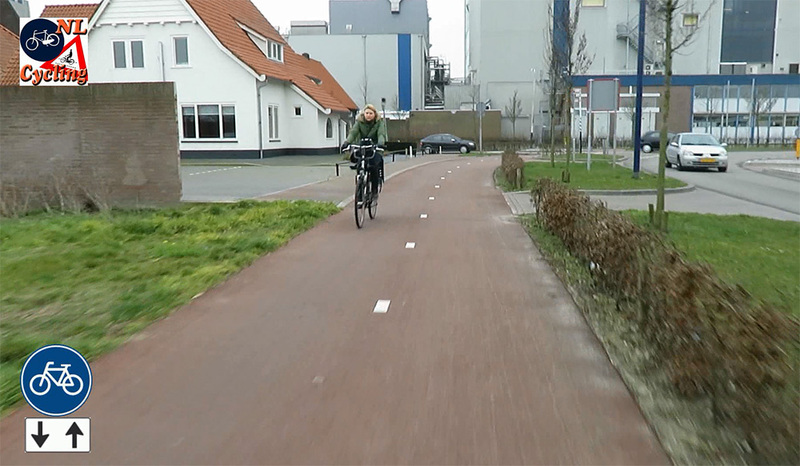 In the outer areas of Veghel there was a nice bi-directional cycleway. This particular sign indicates that it may be used for cycling and the slow type of mopeds and scooters. 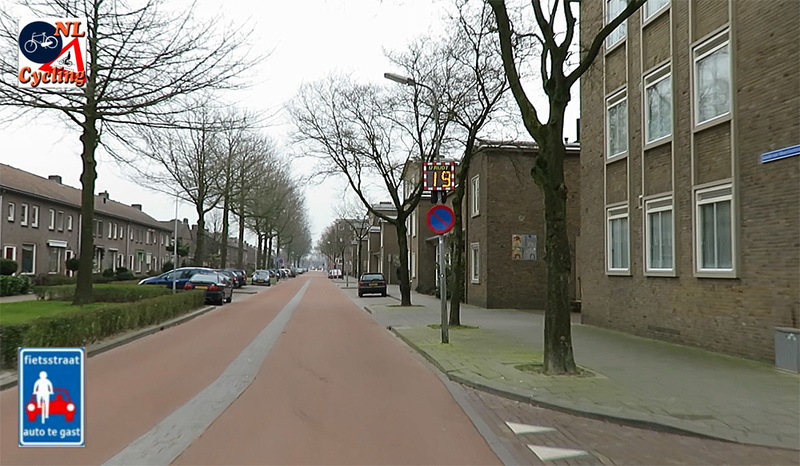 Veghel has a rather large 30km/h (18mph) zone. 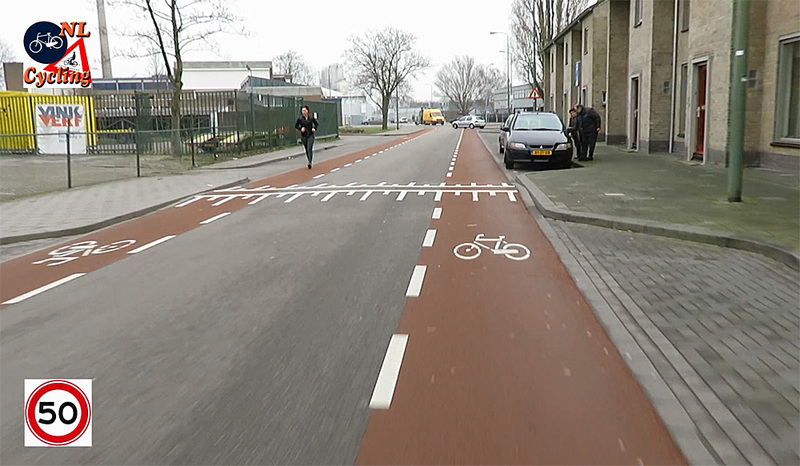 Again, these lines are no indication of cycle lanes, they are just there to optically narrow the street (similar to the lines we saw on the rural road before). Only when there is also a bicycle symbol on the street, such lanes become on-street cycle lanes. Approaching the town’s centre we are still on rather busy 30km/h (18mph) streets. 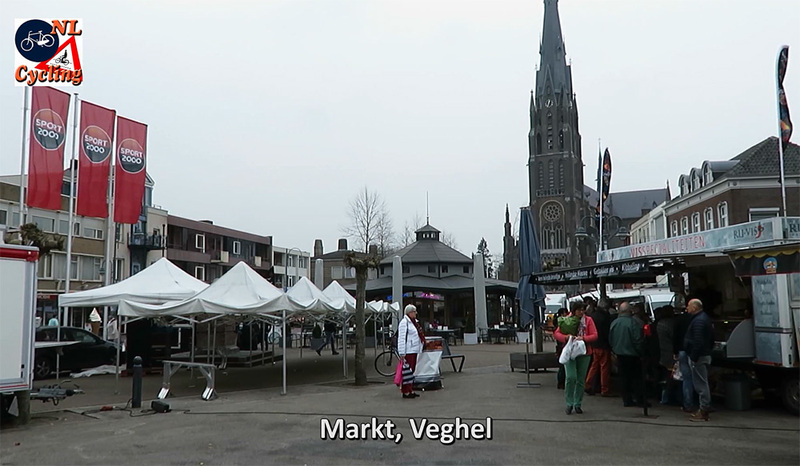 The destination: market square in Veghel. I rode the 20 kilometres (12.4m) in exactly one hour. Which means that even with the delay in the pedestrian zone of ʼs-Hertogenbosch, the fact that I did not even have to stop once in the entire ride, made my average speed also 20km/h. Ride from Markt in ʼs-Hertogenbosch to Markt in Veghel at 10 times normal speed. The same ride at double speed. The 20km (12.4m) route as it is shown in the route planner of the Cyclists’ Union. The route is clearly very straight and it could hardly be more direct. here is a suggestion for future rides that are as boring as much of this one was: show the bits in the interesting urban area at regular speed, or even double speed, and then the parts in the countryside at 10 time speed. I have at least two other “Market to Market” videos planned, I will indeed make the speed different, depending on what there is (or isn’t) to be seen. I understand why you called the ride boring. Suggestion to Rijkswaterstaat: it could be made much more interesting by planting lots and lots of different fruit trees for free picking. I don’t expect them to follow up on that suggestion though, people seem to panic from the idea of rats. Nice film! Mark, if you have not already done so, it would be interesting for you to publish a blog post about using other modes of transportation in the Netherlands. That is, driving a car, and using public transit. Show us what it is like for a driver to have to contend with so many people on bicycles. Is it scary for them, or annoying, or just something they cope with easily? And what about buses? Do any of them have a bike rack on the front so you can travel by bus with your bike? Driving is quite a lot easier than it is in many other places. It’s much safer for one. Roundabouts remove traffic lights for drivers too, and people, even in cars, report liking them. There is usually about one car length of space between the main road and the cycle paths and sidewalks, so you can make your turn in multiple, easier to do, stages. 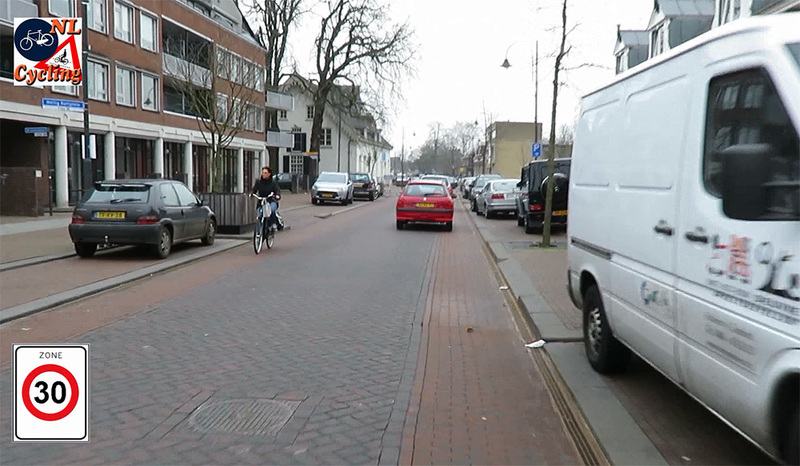 Priority on roundabouts for cyclists is a contentious issue in the Netherlands, but even if cyclists do have priority, there will eventually be gaps. The motorway system is vast in the Netherlands. More than 3000 km of motorway. Nearly all of the network is limited to either 120 or 130, with only a few 100 km/h sections in urban areas and a couple 80 zones. A large part of the network is now at 130 km/h, with the goal to get that up to 60% of the system. There is rarely a place where a motorway is further than 15 km away from you. You could make a trip all the way from Baarle (which is on the Belgian border) to Groningen without leaving the motorway system once, once you get on it, to stop for fuel and rest, as they are integrated into the system. Because of the Sustainable Safety’s demands of monofunctional roads, including through roads and distributor roads, they have much less local access, the through roads having no local access, and are thus much faster. The traffic lights usually divide the turning traffic from other directions, so it is easy to just wait for your green light. The signals are usually fully actuated, so there are no excessive waiting times. If you wish to use the bus, the stops are usually quite a lot nicer than others around the world. They often have raised tactile edge kerbs (curbs if you are North American), so they are better accessible for those with limited mobility or eyesight. Many stops have full shelters, benches and many have a real time indication of the waiting times too. The public transport fare system across the country is unified into one smartcard. In larger cities, there are quite a lot of bus lanes. Utrecht is a good example. Amsterdam of course too. Rotterdam has an exceptional public transport system. Almere is pretty much one of a kind with it’s bus system, running exclusively on dedicated busways away from other traffic. There is even bus service running out to the countryside as well. The train system is almost like a subway system in the Randstad, only with slightly less frequent trains and much higher speeds and less stopping. 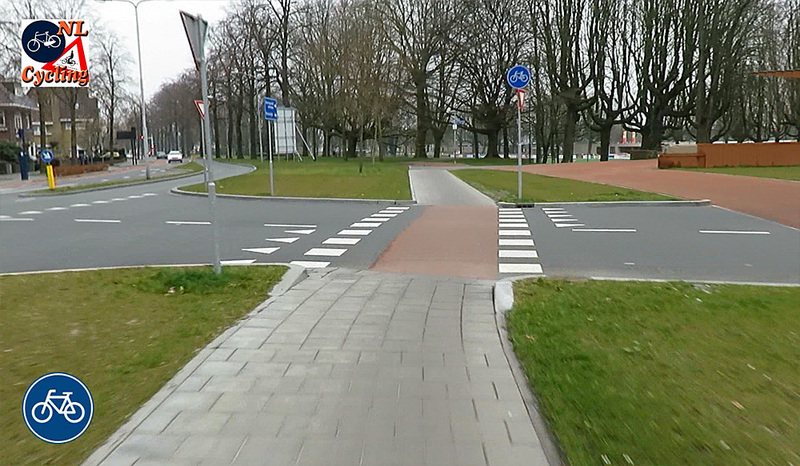 The train system is often grade separated from roads and cycleways, and the Dutch strive to make every crossing signal protected if not grade separated. The normal speed for most of the trains is 130 km/h or 140, often the latter. New signaling system upgrades is likely to increase the speed limit to 160 km/h in quite a lot of places, which is 100 mph if you are governed by a group known as the opposite of progress. Most of the trains run on electrified double (or more) tracks, so less delays, quieter and more reliable trains and knowing that you are doing your part to aid the environment. And again, the the fares are integrated nation wide, and you can get a rental bicycle for 3 euro a day at most stations, and all stations have bicycle parking, including overnight and weekend parking, so you can stick a bicycle in the other station and when you get off the train after your train trip in the morning, you can continue to work or school on a bicycle, and you can also arrive by bicycle. You cannot take a bicycle onto the bus. There are so many people who could want to do that, how could you possibly cope? Instead, there is usually bicycle parking at bus stops, so that you can cycle to or from the bus stops you frequent. This does not apply to folding bicycles. The trains (and trams) allow you to take a bicycle, but only during the off peak times and you must pay a ticket for 6 euro to take it with you. There are rental bicycles at each station anyway, so that’s not a big problem. The exception for folding bicycles applies. Pedestrians are actually more free in the Netherlands than other places. You don’t have crowded footways with bicycles zipping past you. They are on their own path. In the areas with less people and no independent footway, you walk on the cycle paths, preferably on the left side of them, facing cycle traffic. This applies in the rural areas too. If you for some reason want to walk in the rural area, it is safe to do so on the bicycle paths, or if those don’t exist on a particular road either, the low volume 60 km/h roads (better than 80 or 100 with high volumes isn’t it?). Pedestrians are given protection with traffic lights in the same way bicycles are. The waiting times are low, and you go as soon as possible as shown by actuation. You can walk across in one go, unlike the UK. Zebra crossings are common, and give you priority over traffic that wouldn’t be turning across your path. At minor side streets, you often don’t even notice as the footway is continued across the side road. 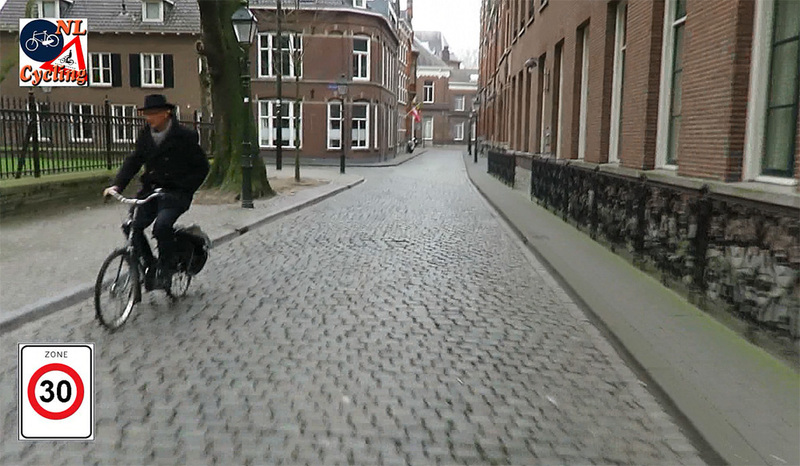 It is very pleasant and easy, and also very safe, to use any mode of transport you wish in the Netherlands. Amsterdam was rated easier to drive in than London UK. Hope this helps! Waze has a Global Driver Satisfaction Index,Netherlands are in 1st place. Might be worth looking up if you’re interested in the driver experience. Buses don’t have bike racks. Only folding bikes can be taken on a bus, if it’s not too busy on the bus. The bus usually will take people near their destination, walking distance. For most people buses are not long distance, that’s what trains are for. Even in trains, bikes aren’t allowed during rush hour, just folding bikes. I commute to Amsterdam daily for work, I take my bike to the train station, take the train to Amsterdam, there I have another bike parked to cycle to work with. I am a Dutchie living in Australia and can tell you from comparison that the Dutch system is leading in the world. Getting on a bike here is close to suicide and I therefor never do. Getting in a car is almost as dangerous as the system puts the onus on the drivers, which I have found is never a good idea. It throws up challenges rather than guidance and near misses are pretty much guaranteed every time you hit the road. The consistent use of recogniseable situations, bus bays, seperation of different modes of traffic, rulers (yes, I mean that seriously – straight lines are a blessing), proper signage, professional driver education and other aspects Dutchies consider normal make driving in the Netherlands a LOT easier and a LOT less frustrating, despite the masses if cyclists. 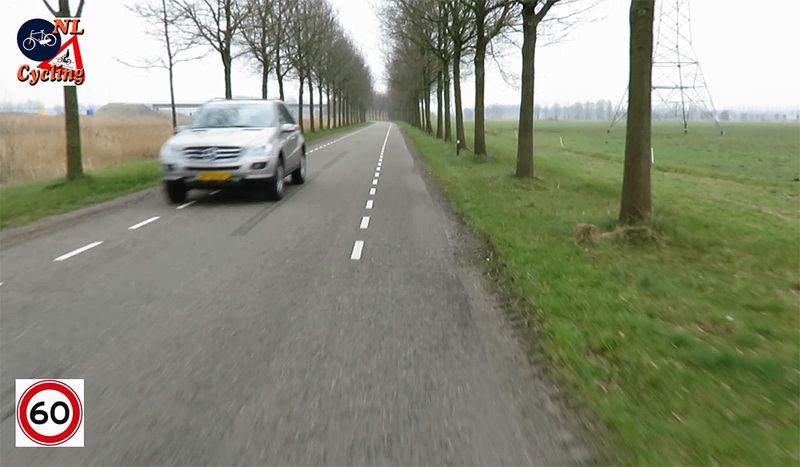 Dutch drivers learn to take cyclists into account (position on the road – lesson #1), cyclists often have their own seperate lanes. It is only on smaller roads where things can go slowly but these roads are only used for short stretches anyway as a means to get to the larger roads. I have discovered the Dutch “just act normal” approach has meant that our stellar achievements in this area have not received the kudos and attention it is worthy off. Perhaps even more so nationally than internationally! Can you tell I miss Dutch urban planning? So this is that extension of the Maximacanaal path, the surveillance path you mentioned last year? In an upcoming post I will show you how the two connect (via the bridge at the 7:34 mark in the double speed video). Hallo Mark, hoe het met ye? Ik learnen nederlands. I was wondering about how you avoid that painful feeling in your ear when you ride a bicycle in colder or windy weather. I wear a tuque (which in Canadian English and French is a knit cap) when I ride during these conditions and still it can be a problem. In fact I had the whole day in pain because of this as a result of an early morning bicycle ride (on my new omafiets). Any ideas anyone about how to fix this? And also, I was wondering whether it is worth wearing a helmet if the fine for not wearing one is not much and fines are uncommon? I’ve tried it both ways, but still it can feel weird that I don’t wear one if I don’t also wear my tuque. I have no trouble in wind and in colder weather I also wear a knit cap, that also covers my ears. We never think about plastic head gear here. Thanks for the good encouragement. This morning I asked a prorail telephone operator to be connected to the department that deals with potential train speed limit (the Dutch way of saying this, snelheinden, amusingly literally translates to speed hinderer) upgrades due to signalling upgrades, what my name is, that I hoped that she was having a nice day and that I normally speak English, all in Dutch! The only thing that would make you wear a bicycle helmet is if a (non Dutch) car driver threw one at you and announced that they were going to “accidentally” hit you if you didn’t. Of course that would be a crime. Punished by the worst of Dutch law, making the driver wear a bicycle helmet and high viz while riding, gasp, a normal bicycle. What a preclude to being ostracized 🙂 ! wearing a helmet to protect against an aggressive car driver is a concept that is entirely alien (notice I’m not using ‘foreign’ here?) to us. Police, you need to go and arrest Mark. He ran a stop sign! He clearly needs a few thousand euro fine and a few decades in prison, he’s clearly a reckless cycling who is going to run elderly women down and toddlers! On a more serious note, stop signs are somewhat rare in NL, with yield signs being the preferred method of indicating right of way. I am mildly curious why that stop sign exists at all. I think they exist because of occassional problems with visibility. But in the US and Canada they are often used instead of yield signs despite both assigning priority to a particular road and all way stop signs just being a stopping version of an uncontrolled junction with no signs or signals. 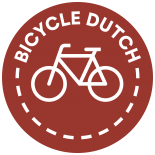 This entry was posted on 12 April 2016 by Bicycle Dutch in Original posts and tagged ’s-Hertogenbosch (Den Bosch), canal, long distance cycle paths, market to market, ride, Veghel.